Any instance of color seems bright as winter white gives way to the drabness of early spring. 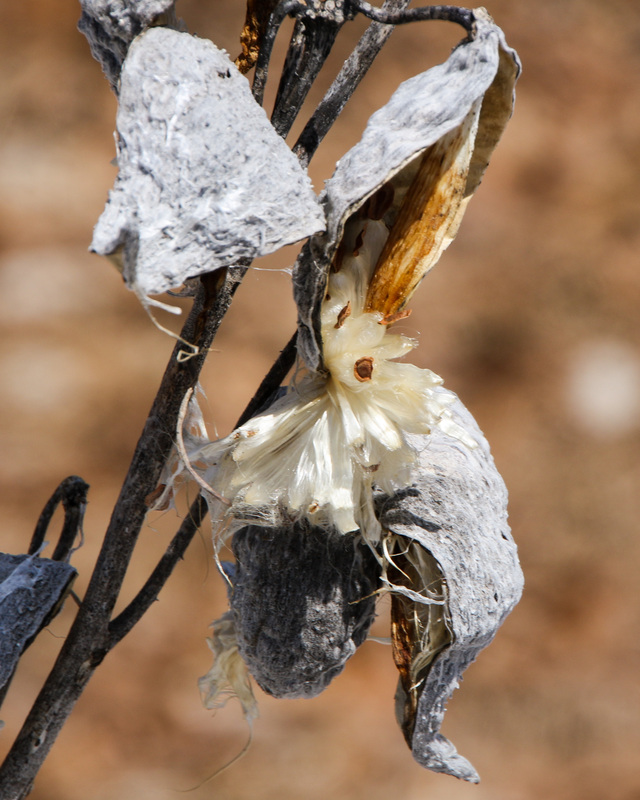 An artsy looking milkweed pod that managed to survive the winter somewhat intact at the edge of an open field. Photos taken February 16, 2015 at the Connecticut River. The CT River was mostly frozen over as far south as Essex through February and the growing winter Eagle population expanded their territories in search of food. The size of these birds is amazing and watching them in flight a treat. They are graceful and slow compared to the birds we commonly see in this area. Exploring local sites has been a fun part of going out with the camera. I’ve lived within three miles of Dividend Pond for about 25 years and went there the first time last fall. The Town of Rocky Hill maintains a series of recently created trails around the pond and there are some archaeological ruins of the mills once powered by the water scattered around the property. I checked in there a few days ago to see if the pond was still frozen over and if the trails were navigable. The pond and the upper end of the falls were easy to get to and offered a variety of photo ops. The lower pond is accessed down a steep slope; going down would have been easy if not pretty. I didn’t try to find out how I would get back up. 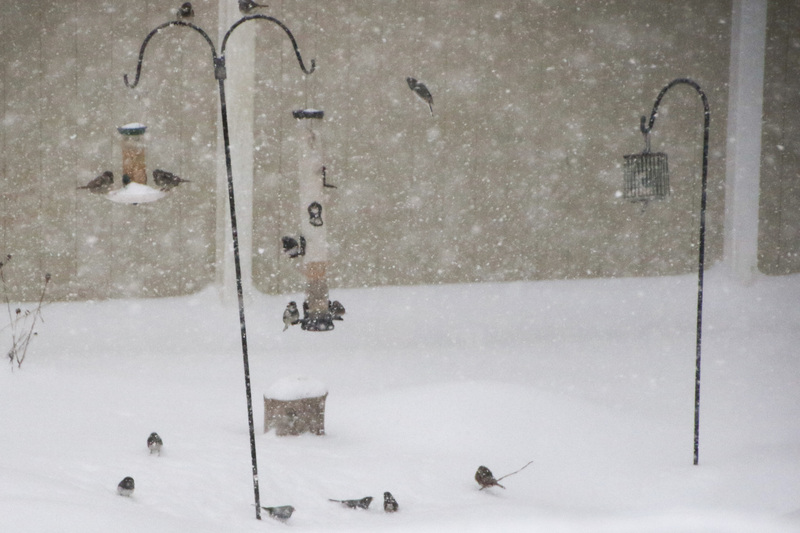 Bird visitors have visited our back yard steadily this winter, when all of Connecticut has experienced a heavy snow cover. We have several feeders spread around the yard, with one that is expressly meant to foil the neighborhood squirrels. Most of the birds are familiar species from other years but this is the first winter we have had a mocking bird live in our yard. He pops out of the holly bush every morning and chases the junkos and other small birds that come to the closest feeder. Click on a photo to display a slideshow that includes image details. Photographing individual birds has been a fun way to learn the camera’s options.